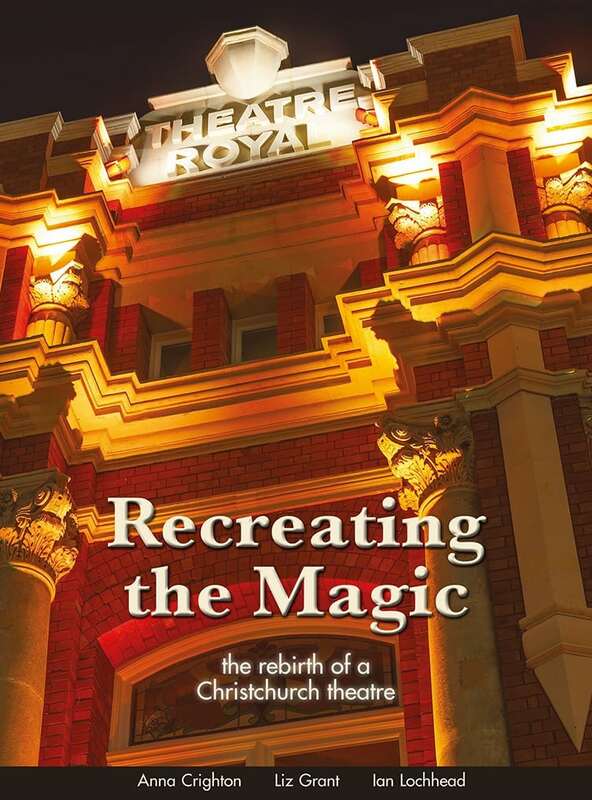 A new book telling the story of how the Isaac Theatre Royal was saved, strengthened, restored and enhanced as one of the finest performing arts venues for Christchurch and beyond. This soft jacket book has over 100 pages and beautiful colour photos. Shipping: There is a $6.50 post and packaging charge, or you can choose to collect your book from the Theatre box office at no charge. Credit card: There is a 3% charge if you choose to pay by credit card (Paypal). Special Offer: Purchase The Theatre Royal, Christchurch for only $20 (usually $40), while stocks last. To take advantage of this, add the Recreating the Magic book to your cart, and you will be offered the special deal. 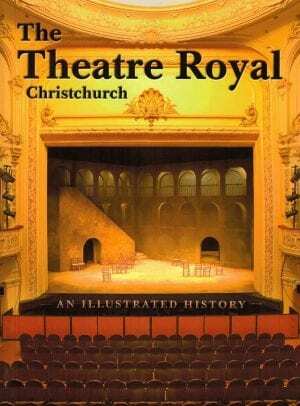 The Theatre Royal, Christchurch book traces the story from its beginnings in the late Victorian period, through the dazzle of the J. C. Williamson years to the present day. This is also the story of heroic community action: the saving of an almost derelict theatre in the 1980s and its transformation into a performing arts venue for the 21st century. The book contains more than 300 illustrations, including rare B&W photographs from collections around the country, glorious colour photographs of the theatre’s splendid interior, and historic posters and material reproduced from theatre programmes down the ages. Principal contributors: Professor Howard McNaughton, Peter Downes, Adrienne Simpson, Associate Professor Ian Lochhead, Edmund Bohan, Catherine Hurley, Malcolm Douglass, Sir Miles Warren, David Clarkson and Philip Norman. Written by Dr Anna Crighton, Liz Grant and Dr Ian Lochhead. The story of the restoration and reconstruction of the theatre from the brink of collapse as a result of earthquake damage in 2011 to its triumphant reopening in November 2014, is as dramatic as any production that has taken place on the theatre’s stage. The combined skills of architects and engineers, conservators and craftspeople and an army of construction workers have returned an Edwardian theatrical jewel to its former glory while enhancing the experience of audiences and performers alike.